The ultimate upgrade for your Traxxas Spartan boat. 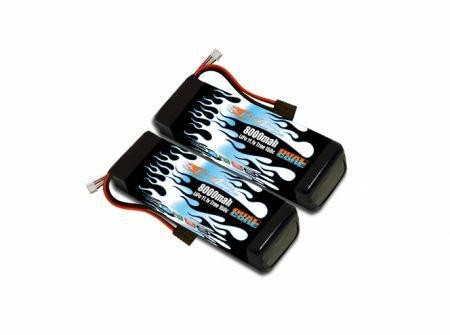 This is for 1 pair of our new 8000 11.1v Dual Core LiPo packs. These packs will make your Traxxas Spartan scream and will work perfectly with no modifications required! There is no better pack than this if you're looking for the ultimate combination of power and run time. If you're looking for an insane amount of power, these are the packs for you! I'm sorry to say that I have not review my product yet. I'm still waiting for some other products that I expect to have soon . Plus I am in the recovering stage for a automobile accident on June 15,2015 .